Discussion in 'The Garage' started by mikeavelli, Sep 1, 2015. EDIT, LEXUS #1 FOR THE MONTH OF AUGUST!! TORRANCE, Calif. (Sept. 1, 2015) – Toyota Motor Sales (TMS), U.S.A., Inc., today reported August 2015 sales of 224,381 units, a decrease of 8.8 percent from August 2014 on a volume basis. With one less selling day in August 2015 than in August 2014, sales were down 5.3 percent on a daily selling rate (DSR) basis. Toyota Division posted August 2015 sales of 190,894 units, down 10.5 percent on a volume and 7.1 percent on a DSR basis. Lexus reported August sales of 33,487 units, up 2.1 percent from August 2014 on a volume basis and 6.0 percent on a DSR basis. "The luxury market continued its hot streak last month," said Jeff Bracken, Lexus group vice president and general manager. 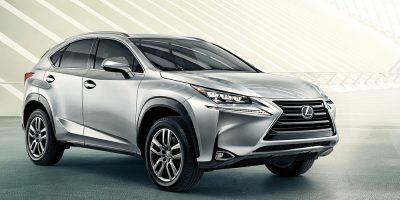 "In August, Lexus had a best-ever sales month, led by the all-new NX and RC." Trexus and corradoMR2 like this. corradoMR2, RAL and Gecko like this. NX beat the RDX last month.....what a grand slam this car has been.. Ford/Lincoln..I just realized Lincoln sells 4 SUVs to their 2 cars. Trexus, IS-SV and RAL like this. Lexus USA has reported 33,487 total sales for August 2015, a 6.0% improvement over last year. ............and with an all-new mid-sized MKX, replacing the old one, just starting to reach dealerships now. I just finished a full-review on a new 2016 MKX today, and will probably get it posted some time tomorrow. With refreshed ES and GS, and new RX, I predict Lexus will finish the year at #1.
new IS200t, GS200t and LX will likely factor in as well as brand new NX and RC. mikeavelli and Trexus like this. If the ES wasn't around Lexus would definitely sell more GS's and IS's. Spectacular numbers nevertheless, they will definitely close this year with the top spot. Q5, over 5000 units . Impressive for a 7-year old model run. Happy the NX is selling so well. Goes to show how much people love the design despite the haters. thnak you dear lexfather for information...and thanks lexus for everythings. Agreed, and the Q5 has been a sort of benchmark in this class for years. NX is solidly in the mix here. Note: Q5's predominate engine today is a good turbo4 like the NX. mikeavelli and corradoMR2 like this. Once the LX, GS, RX, ES and the other IS options sales will continue to grow even more. If Lexus introduces a new LS and LC next year their numbers will increase a tremendous amount leading them back to the sales record. Mercedes' number is only 31,250 when smart and Sprinter are counted, which they shouldn't be! Mercedes' August sales is really 28,373, not 31,250!! Is there a mis-print in the third line from the bottom of the sales table for August? It seems one more number than there are columns. Need an NXF to truely compete with the Q5's speedy version. The thing is the Q5 never sold like this before. I've noticed that it and Rdx volume jumped when the NX came. Makes we wonder what's suffering since these are up. The thing is Lexus sells sedans well in the NX price point whereas the A4 does average and Acura lags. The ES and IS outsell all of their sedans individually. I'm just curious where all this Q5 love suddenly came from. It was selling in the 3k range. Also note how Audi has blown past infinit, Acura and cadillac. It used to be close. Now Audi here is moving solidly up the sales rankings and they got fresh new product coming. CIF, Lexus Cohen and Trexus like this. More attractive lease offers by Audi? CIF and mikeavelli like this. I quite frankly think Q5 is a pretty "average" product and have never cared for it much. Not sure how they're blowing them out like this... maybe 2015 MY clearance deals? Bmw only sold ninety 7 series?! That has to be some sort of typo, I know there is a redesigned model, but wow!